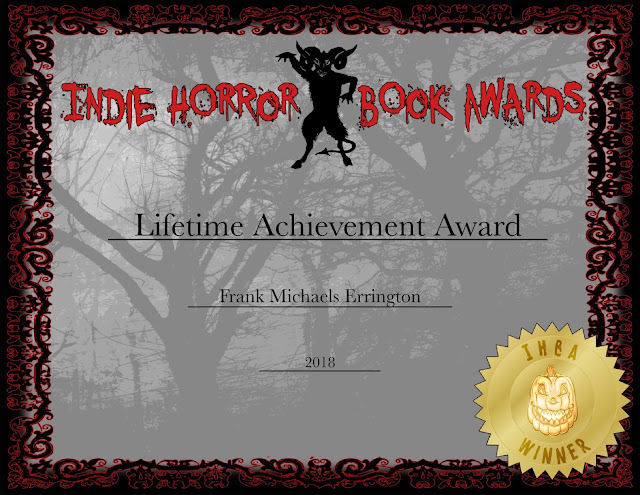 We’re pleased to announce the formation of the inaugural Indie Horror Book Awards (IHBA). These awards, which will be given to books newly published Jan 1 through Dec 31 of the calendar year, are given only to authors and presses that qualify as “independent” (Ie: small press, self-pub). Those nominating and voting on the IHBA are a selection of book reviewers from both blogging sites and Instagram. These are not peer-driven, but are Reader-centric awards, and meant to reflect the feelings of the unpaid bookworms that love the genre. Anyone whose work qualifies is welcome to submit. Please note: Only books submitted through the IHBA website, or the appropriate email, will be considered for the awards. Books submitted to the individual reviewers for review consideration are not automatically entered. Disclaimer: These awards are run by reviewers and as such, any and all books submitted to and read by said reviewers may result in personal reviews being posted outside of the IHBA website and its affiliated pages.